Blended Scotch whisky has some work to do if it's to emulate the glowing success of Bourbon in the States. They say imitation is the greatest form of flattery but, as Becky Paskin asks, at what price? Wrapped in American traditions: Scotch whisky is taking inspiration from its cousins across the pond. Scotch is experiencing something of an identity crisis. However it’s less of a Breakfast Club/Garden State/enter coming-of-age-film-here issue, and more of a split personality disorder à la Fight Club or Psycho. That is to imply that Scotch whisky has begun to shroud itself in the character of a different entity, rather than stabbing ladies in the shower. It’s a spirit with a rich heritage spanning hundreds of years, and is consequently one of the most fiercely protected in the world, thanks to the all-seeing eye of the Scotch Whisky Association (SWA). Love them or loathe them, the Scotch whisky regulations exist to protect the unique character and personality of Scotland’s national spirit that has come to be recognised and revered around the world. It is so highly regarded that imitation products are incorrectly labelled as Scotch to fetch a higher price. The global counterfeiting issue is widespread enough to keep the SWA on its toes. Why then, when the industry has fought for so many years to develop a coveted and unique character, and protect its heritage and reputation, would producers want their Scotch whisky to taste like Bourbon? Earlier this year the SWA reported a 7% decline in the amount of Scotch whisky exported to the US in 2014 to 118.6m bottles, while its value dropped by 9%. The organisation placed part of the culpability on stock adjustments, while some companies blamed reduced marketing spend or that the results lapped some big public launches in the previous year. Others cited aggressive pricing as the reason for the declines. Whatever the excuse, the one thing everyone was adamantly clear on is that American whiskey, which grew by 1.3m cases in 2014 (up by 7.4%, Discus), is absolutely, most definitely, not taking market share away from Scotch. 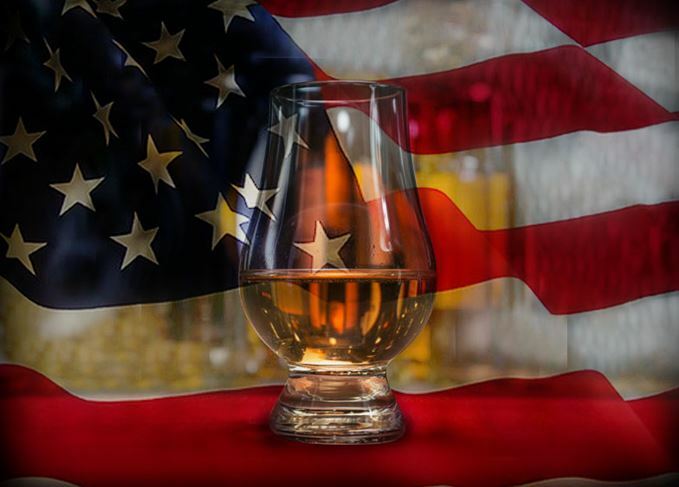 Interesting then that this summer four of the largest producers in Scotland have introduced new ‘innovations’ exclusively to the US that are designed to appeal to the Bourbon drinker by emulating flavours found in American whiskey [see below]. It’s not the first time Scotch has moved into an area heavily occupied by American whiskey. Seeing heightened demand for flavoured whiskey in the US, and the astronomical rise of Jack Daniel’s Tennessee Honey – the first flavoured whiskey to sell over 1 million cases – some of the more ballsy producers began flavouring their own whisky with honey and even lime. While the innovations have, granted, been received well by emerging markets, American consumers have not been so readily taken. As with the flavoured releases, and any spirit calling itself Scotch whisky for that matter, the ‘Bourbonised’ Scotches, or ‘Scourbons’, must adhere to SWA regulations, and they do. But therein lies the danger – innovation is key to the development and evolution of the category, but it can – and should – only go so far. If this trend for emulating a different whisky category altogether takes root, then Scotch could find itself in danger of losing its original identity and potentially tarnishing hundreds of years of heritage. This blended Speyside malt from Chivas Brothers, which is predominantly matured in ex-Bourbon barrels, is described as having a ‘smoother and sweeter’ flavour that ‘bridges the Bourbon and Scotch worlds with an irreverent attitude and a… more accessible taste profile’. In other words, it’s a Scotch that Chivas hopes will reignite interest in the category, particularly among die-hard Bourbon lovers. ‘In a market dominated by American whiskey, we feel that Barrelhound brings something different and exciting to the category,’ says Kate Pomeroy, VP innovation and consumer insights, Pernod Ricard USA. Its bold, hipster-style branding certainly tugs clear of the traditional, aspirational Scottish heritage design trend inherent to many brands. Coincidentally, within days of Chivas’ Barrelhound launching, Bacardi announced the release of a new Scotch whisky made using a technique ‘borrowed from its Bourbon counterparts’. Dewar’s Scratched Cask is a blend of up to 40 malt and grain whiskies that are matured in ex-Bourbon casks for at least four years. The liquid is then married for a period of months in ex-Bourbon and virgin American oak casks whose heavy char layer has been ‘scratched’ to increase wood contact. According to master blender Stephanie Macleod, Dewar’s Scratched Cask is a ‘Scotch produced in a Bourbon style’, and has ‘distinctive and accessible notes of sweet vanilla and toasted oak’. The most recent ‘Scourbon’ and the first single malt to openly market its ‘American-style’ character is the Glenfiddich 14 Year Old Bourbon Barrel Reserve from William Grant & Sons – a 14-year-old malt matured in ex-Bourbon casks and finished in heavily charred new American oak. Unlike the blends mentioned previously, its release has less to do with fixing declining volumes, as single malts are in fact up 6.4% in the US. Rather the Bourbonisation of Glenfiddich is more likely to have been designed to help the brand catch up to The Glenlivet, the leading single malt Scotch in the US. Chivas Brothers’ Speyside malt has a 246 million case lead on Glenfiddich, and is also some 172 cases ahead of number two malt The Macallan (Impact Databank). Why the macho charms of Scratched Cask and Hard Fired have got the Whisky Virgin’s juices flowing. Johnnie Walker has a new expression, finished in rye casks. One question, says Dave Broom: why? The Louisville whiskey festival was a washout, cancelling sets from Sting and Robert Plant. The Glenfiddich distiller has applied its Scotch know-how to create a new blended Bourbon.